Wall Street's bulls are rushing to the land of gauchos: Argentina. Their return marks a sharp comeback in confidence for one of the world's worst economies. Larry Fink says he "came away more confident than ever" on Argentina after spending two days in New York this month with the nation's leaders. Fink is the CEO of BlackRock, which manages $5.7 trillion, the most of any firm in the world. He's far from alone. American investors poured a net $1.2 billion into Argentine stocks and funds between January and October, 12 times more than they did during the same period just two years ago, according to EPFR, a Boston-based firm that tracks fund flows. It's also four times more than last year. BlackRock (BLK) opened up a new ETF focused on Argentina this year, and its competitor, the MSCI Argentina, is up 57% from a year ago. Argentina's stock market, MERVAL, is up 63% this year, making it the best performing stock market in the world. Foreign direct investment in Argentina has also nearly doubled so far this year compared to the same period in 2015, according to central bank data compiled by Thomson Reuters. It's not that the sums are staggering, but how quickly investment has returned. Argentina was shut out of international bond markets for nearly 15 years following what was once the world's largest default by a country in 2001. It defaulted again in 2014 and hardly attracted any foreign investment during the 12-year reign of a populist government that left office in late 2015. Even today, Argentina's economy ranks third out of 65 countries in Bloomberg's Misery Index. Crisis-ridden Venezuela topped the list, and many investors used to speculate that Argentina was heading toward a complete collapse too. But Wall Street has changed its tune because of one man: President Mauricio Macri. Macri -- a billionaire and former real estate scion who once negotiated a property with President Trump in the 1980s -- had an improbable election victory two years ago in November 2015 after he created his own political party. Now he's trying to unshackle the economy from populist policies. Growth is expected to be 3% this year, the best in Latin America, according to Goldman Sachs (GS). 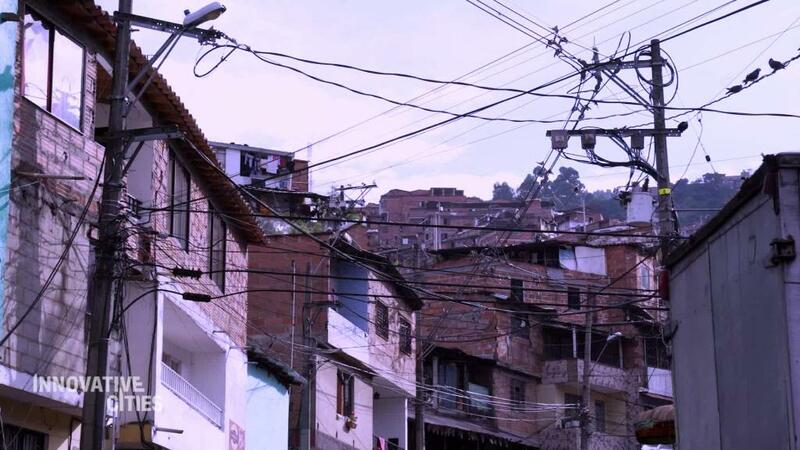 "It's night and day -- the policies are a lot more market and investment friendly," says Alberto Ramos, head of Latin America research at Goldman Sachs. "The economic outlook has completely changed." After all those years shut out of bond markets, Argentina sold a 100-year bond in June, a sign of the optimism surrounding Macri's administration and of investors' desire to find high interest rates in a world of low yields. More good news came in October for Macri when his political party won a critical midterm election. Macri's party still doesn't have a simple majority in Congress, but many believe it has enough influence now to pass tax and labor reforms. Macri flexed that political muscle earlier in November, striking an agreement with almost all of Argentina's governors to cut down provincial spending, a rare feat in a politically fragmented country. An added bonus for Macri was that the opposition Peronist political movement emerged fragmented by the midterm vote. It's not just Wall Street rushing to the South American nation. Silicon Valley's venture capital firms are betting on its blooming tech sector too. Argentina has four of Latin America's six tech startups valued at $1 billion or more, also known as "unicorns." 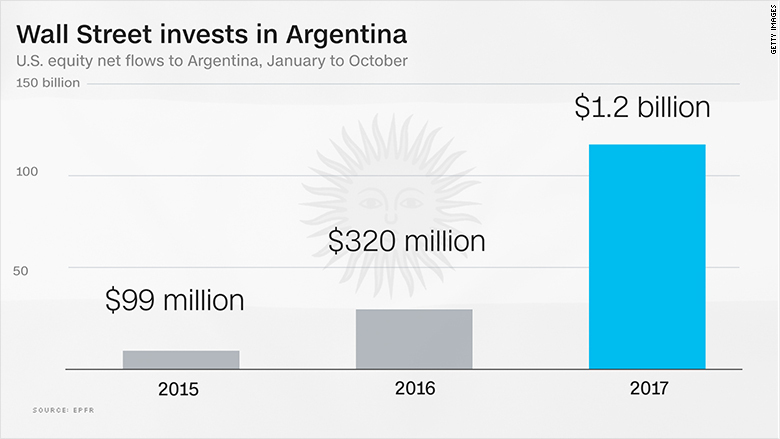 There were 77 venture capital investments in Argentina between 2014 and the first half of 2017. That's more than triple the amount, 22, from the prior three years, according to the Latin America Venture Capital Association. Matias Recchia's startup, IguanaFix, received some of that venture capital last year. Qualcomm Ventures and Temasek Holdings invested $16 million in IguanaFix, which is similar to TaskRabbit, connecting plumbers, electricians and handymen to customers and businesses in need of help. "Now we're starting to see more willingness to invest in the economy," says Recchia, who employs 120 people in Argentina. The platform is also in Brazil and Mexico. Under the former, populist government, "investors didn't know if this was going to turn into another Venezuela." Despite investors growing optimistic on Argentina, major economic problems still plague the country. Unemployment and inflation are high. Some Argentines are upset at Macri for removing populism-era subsidies, causing electric bills to soar. A contentious labor union battle with teachers in the province of Buenos Aires has persisted. And because of its notorious debt woes, Argentina pays a higher interest rate to investors than its Latin American peers. "We're paying the cost for our history of sins," says Daniel Artana, chief economist at the Latin American Economic Research Foundation in Buenos Aires, the country's capital. "After more than a decade of populism we need a lot of reforms."